E3 this year has so far announced some cracking new games, and seemingly out of nowhere, Microsoft unveiled Forza Horizon 4, which I only discovered this morning in a random Facebook post. To be honest, I thought it was a simulation by some whizz-kid of what the new game might look like, such is the awesomeness of the photo-realism. But no, this is the real thing and Forza Horizon 4 will be available for XBox One and PC on 2nd October, 2018. Check out this 4K trailer and prepare to cause mayhem on the streets of Britain. Both Microsoft and developer Playground Games have been very tight lipped about the game’s location up until now, with many punters firmly fixing their eyes on Japan as the preferred setting. Previous Forza Horizon games have been set in Colorado, France, Italy and Australia, and I for one am delighted that the British developer settled on my home country as the new location, particularly since dynamic weather seasons play a big part in the new game. And there’s plenty of weather in Great Britain, that’s for sure. Take my money please! Just Cause 3 was the game with the most of almost everything– the most beautiful explosions, the most vehicles to drive around in, the most ways to fly around the world, and the most fun you can have blowing stuff up. Just Cause 4 promises more of the same outrageous formula as our hero Rico Rodriguez heads to South America to battle the Black Hand mercenaries and some inclement weather! The game is due for release on 4th December, so in the meantime, check out this launch video. Following my recent article Shadow Of The Tomb Raider – September Date Confirmed, a new game-play trailer was released at E3 with Lara seemingly more Rambo than a raider of tombs. But heck, action blockbusters are all the rage nowadays, but we do hope she’ll be raiding maybe the odd crypt, at the very least. As if hell on Mars couldn’t get any more diabolical, Bethesda has released a teaser trailer for DOOM Eternal where the demons transfer from their Martian home to here on Earth. Hell yeah! I’ve not played a Fallout game yet and this new outing is online multiplayer only– so that’s me out then. Due for release on 14th November. No idea what this game is about, but it looks great and seems very much on the edge. I still have the jewel case for the original Serious Sam from 2001 and it’s monster-blasting at its very best. Back in the day, Croteam was lauded for the look of their games and Serious Sam 4 looks to be no exception. Halo finally comes back to the PC having been a console-only game for so many years and if this teaser is anything to go by, fans will be in for a treat. A game about WWII with a female lead? Shock horror. It’s as if Lara Croft, Alyx Vance, Cortana and Zelda were figments of our collective imaginations such is the predictable outcry to Battlefield V from the gaming community at large. Now accused of ramming their PC and Social Justice Warrior agenda down our necks, Electronic Arts is releasing their rather confusingly numbered WWII blockbuster to a cynical gaming community that’s ready to pounce on any seeming error of judgement. I’ve often railed against the PC and SJW mob right here at DCT, but frankl,y if the game is as much fun as it looks with a woman in the lead, I really couldn’t give a monkey’s– as long as there’s single player. Oh, and the game has Battle Royale mode, which is another reason gamers are so pissed off. Take a look. The first Dying Light was one of the first zombie games I played – if you don’t count the infected Half Life scientists as zombies that is – and it really was a visceral experience, especially at night. Well, with Rick Grimes now making his exit from The Walking Dead, zombie fans will have to get some relief and Dying Light 2 will not disappoint from the look and tone of this introduction. 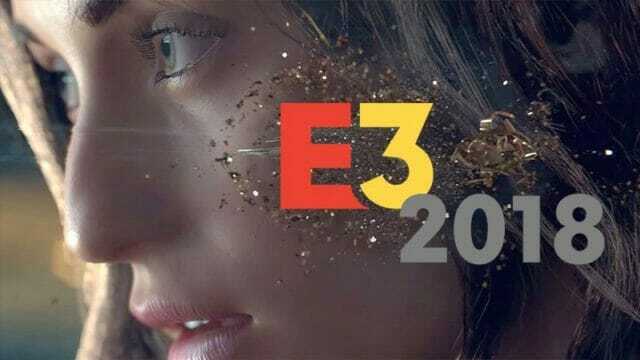 For a full summary of new games announced at this year’s E3, check out IGN’s full list. Meanwhile, it looks like I’ll be rather busy from September onwards with Forza Horizon 4 and Shadow of the Tomb Raider being top of my list– in that order.